Liquid Filling Machine - Capping & Tablet Counting Machine also Labelling. Packaging machine manufacturer of automated and semi automatic packaging systems from Aldershot in the UK. KBW Packaging is a UK leading packaging machine manufacturer in the design and supply of packaging machinery, equipment. KBW Packaging Limited has a dedicated, experienced sales and support network. A specialist in the supply of high quality packaging machines, such as tablet counting, liquid filling, capping and labelling. Our clients range from new and start-up companies, to famous named brands in the pharmaceutical, healthcare, toiletry and cosmetic markets. And as a manufacturer, we have provided packaging machinery solutions, worldwide, specifically tailored to our customers’ needs. Our equipment range as a packaging machine manufacturer covers small semi-automatic bench top machines extending through to fully automatic machines, plus integrated production lines. 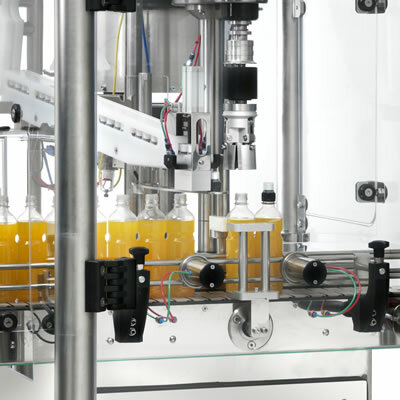 Bench models, such as the AF0010 Liquid Filler, AK0002 Capper, and AC1000 Tablet Counter, will suit young expanding businesses and companies, with small to medium production output. 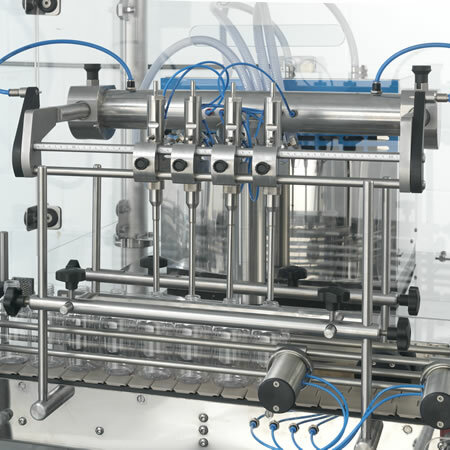 Automatic models, such as the AF0040 Liquid Filler, AK0060 Capper, and the Basic 100 Labeller, will typically suit larger companies and corporations, due to their production output requirements often being higher. Please click below on the relevant product range to view brochures and videos. We receive enquiries daily about our machinery as a packaging machine manufacturer. Consequently, whatever your packaging equipment needs are; semi or fully automatic liquid filling machine, tablet counting machine, capping machine or finally labelling machine, please contact us. To discuss your requirements, call us on telephone number +44 (0) 1252 322 220 or email to request a quotation. As always, we are happy to help and look forward to your contact. Our liquid filing machines are suitable for many different products; such as spirits, perfumes, bath oils, hand wash, shampoos, conditioners, liquid soaps, and shower gels. Also jams, honey, mayonnaise, cleaning agents, solvents, nail polish and mascara. 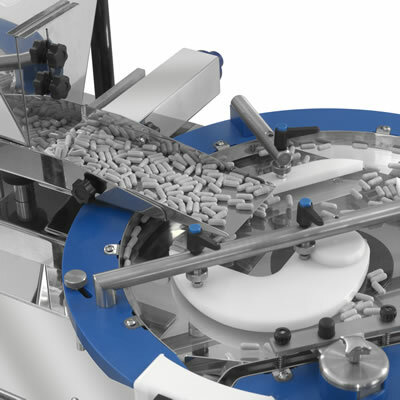 Our pill or tablet counting machines are able to accurately dispense both coated and uncoated pills & tablets, and capsules such as soft gelatine capsules. 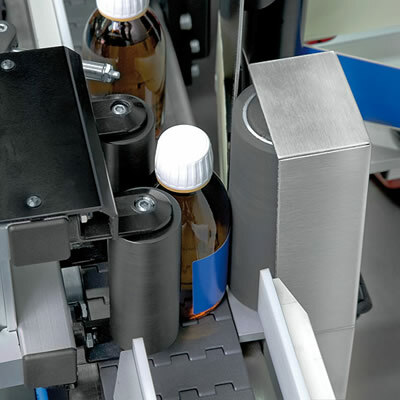 The machines are aimed at pharmacies, the cosmetic or veterinary industry; or nutrition, healthcare and confectionery industries; contract packers; druggists and nutraceutical companies. Our bottle capping machines are suitable for all types of cap closures, such as Screw, ROPP, Press or Trigger caps. Our range offers either small hand-held or bench top cappers, to rotary, indexing or in-line capping machines designed for your specific capping requirement. Our labelling machines are suitable for many labeling applications, such as: cylindrical, conical, rectangular, oval, irregular and unstable containers. Also for special labelling promotions for security, sleeving and recyclable labels for industries such as food and wine. Products used on our range of machines including: Liquid Filling machine, Capping machine, Tablet Counter machine or our Labelling machine. Hair shampoos, hair conditioners, hair colourants, hand washes, liquid soaps, shower gels, bath oils, body scrubs, body lotions, body oils, face creams, face washes, skin moisturisers, skin toners, skin creams, mouth washes, colognes, perfumes, cosmetics, sun creams, sun lotions, sun oils, baby shampoos, baby oils, baby creams, baby lotions, nail polishes, lip glosses, and mascara. Also wine, spirits, fruit juices, water, sauces, preserves, jams, cheeses, mayonnaise, ketchups, cooking oils, vinegar, honey, and sweets. Plus disinfectants, washing detergents, washing-up liquids, dishwasher rinse aids, fabric conditioners, glass cleaners, bathroom sprays, kitchen sprays, bath cleaners, floor cleaners, and floor polishes. As well as cough syrups, eye wash lotions, antiseptic liquids, veterinary products, pet shampoos, multi vitamins, and sports nutrition drinks. Agricultural chemicals, car polishes, car care, paints, and solvents. Tablets, capsules, caplets, dragees, and vitamin supplements. Screw caps, press caps, ROPP caps, pump action caps, and trigger spray caps.